The ability to remain in their own homes is vital to most elderly people. It helps them retain their dignity and their sense of control in the face of physical limitations, which often strips them of that very sense of dignity and independence. In fact, research shows that levels of happiness and personal satisfaction in the geriatric population are directly correlated to one’s sense of self-autonomy. However, parents are frequently urged by their own children, acting with only the best of intentions, to move out of the comfort of their own home, out of concerns for the parents’ safety, personal care, homemaking and social needs.  A home health aide (“HHA”) is an individual who provides routine individualized healthcare services, in a manner unique to each client’s needs, for the elderly, convalescents, or patients with physical or mental disabilities. Through this invaluable assistance, seniors are enabled to remain in the comfortable environment of their own home while leading healthy and productive lives. Most HHAs use agencies, such as Edison Home Health Care, to find placement and to begin providing services to the patient. If your elderly parent or loved one requires assistance with everyday tasks but still wishes to live at home, Edison’s senior/elderly personal care services can provide exactly the type of help needed, while providing you with a clear conscience and peace of mind. HHAs provide a number of different services for the patients in their care. When needed, they assist in basic tasks such as bathing, feeding and dressing. They can monitor and remind patients to take their medication, assist with patients’ physical and occupational therapy routines and, in general, provide much needed companionship to the clients they are assigned to. HHAs are required to keep detailed notes of the progress of patients in their care and must promptly report any significant incidents that may arise to nurses or other health care professionals. Although they cannot perform all duties of a licensed nurse or physician, such as prescribing medication or treatments, they frequently carry out a doctor or nurse’s directives. Other duties an HHA may perform include light housekeeping, preparing meals for the client, running errands and scheduling appointments for the client. All HHAs employed by Edison undergo specialized training and are certified. In addition, we provide them with regular continued education in order to keep them apprised of any relevant developments in the health care industry and to enable them to continuously develop their abilities as care providers. HHAs are compensated on an hourly basis, commensurate with their skill, education and experience. Moreover, HHA’s have room for advancement through continued education. Indeed, many HHAs pursue college degrees part-time, with a number going on to become nurses, physicians and other health care professionals. Homemaking, nutrition counseling, and medical social work aides benefit clients in a number of different ways. With availability for short shifts, last-minute requests, live-in care, and unusual needs, our aides and professionals flexibly meet nearly any need. We offer multilingual services in English, Russian, Spanish, Hungarian, Yiddish, and Hebrew to ensure adequate communicate between our professional staff and individual clients. Clients trust our carefully screened aides to perform their duties with skill, compassion, punctuality, and professionalism. Consider hiring our monitored home health aides and professionals to meet your needs. Although we are generally contacted when because of clients’ physical limitations, it is essential no to overlook their psychological health. This is where our medical social workers intervene, working constantly to improve the quality of our patients’ lives. These trained and certified professionals are among the most caring and sensitive people who work in the realm of elder care. They have highly-developed assessment and analytic skills. Our medical social workers evaluate a patient’s social, emotional, and psychological needs. They then work directly with the patient and, if necessary, the other health care professionals assigned to the case, to build the tools and techniques through which the patient learns and regains the confidence to develop hobbies, engage in stimulating activities, nurture relationships and increase daily productivity. Social workers also offer patient counseling and are always available to lend a sympathetic ear. A balanced diet is important to all of us, but it is especially vital to the elderly and infirm, in order to provide them with healthy bodies and alert minds. Due to income limitations, dietary needs and rising food costs, patients often find it difficult to prepare nutritionally-balanced meals for themselves. Our nutrition counselors work with clients to ensure that their dietary and nutritional requirements are being met. These licensed and trained nutrition counselors utilize their knowledge and expertise to ensure that each client receives an appropriate and satisfying balance of vitamins, minerals, whole grains, fruits and vegetables. To accomplish this, the nutrition counselor first researches the dietary needs and preferences of the patient. Armed with this information, and in accordance with the patient’s nutritional requirements, the nutrition counselor then creates a customized, specifically tailored meal-plan for the client, thereby making sure that this essential yet often-overlooked aspect of home care is met. Individually and together, homemaking, nutrition counseling and medical social work improve the quality of life of our clients. With professional focus, unyielding commitment, and deep compassion, our professionals who service these needs offer invaluable assistance, enabling every client to remain as independent and active as possible.